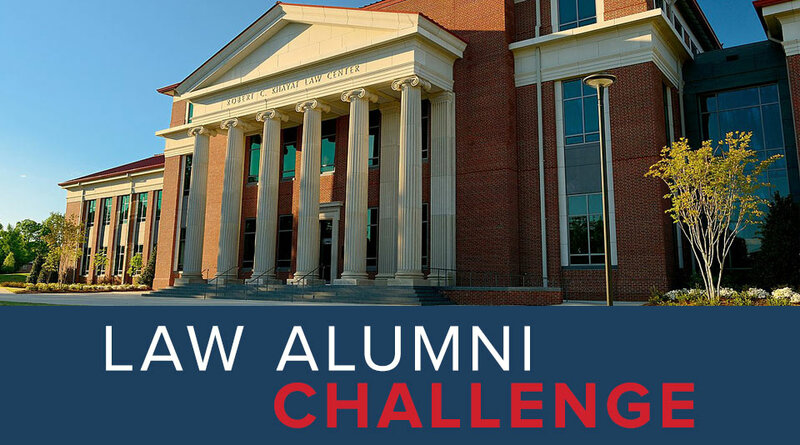 The UM School of Law is in its second year of our annual Law Alumni Challenge! Like last year, we are challenging over 20 Mississippi law firms to reach 100% giving participation from all UM Law Alumni within their firm. Alumni may give to any UM Law Fund to participate. The Challenge for 2018-2019 runs from July 1, 2018 to June 30, 2019. If your firm reaches 100% giving participation you will receive a personalized trophy, recognition on the UM website and our alumni newsletter. What is the Goal of this Challenge? Currently our annual giving rate amongst our 7,000 alumni is only 4.4%! Our goal is to triple that number by the end of this year’s challenge. Increasing our giving participation would provide the school with vital scholarship and operational funds needed to help numerous initiatives that are not funded by endowments.